“I very frequently get the question: What’s going to change in the next 10 years? And that is a very interesting question; it’s a very common one. I almost never get the question: What’s not going to change in the next 10 years? And I submit to you that that second question is actually the more important of the two — because you can build a business strategy around the things that are stable in time. Every day we read about Amazon’s latest innovation and disruption ideas. But how much do we really know about the things that make most of their revenues? Amazon’s fulfilment network is the key enabler for a vast selection and fast delivery. They have been expanding their network largely over time. But since 2013 it has seen vastly accelerated growth not just in the number of their facilities but also in the increasing type of facilities. 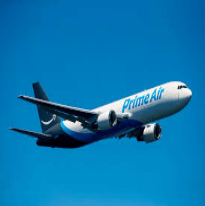 From fulfilment centres to sortation and delivery centres to Amazon Prime air planes and air hubs. Inbound Cross Dock centres (IXD) are pretty much what it sounds like. They receipt goods coming from vendors, often from overseas. As such they are close to ports and borders. They act as buffers and package the incoming goods into truckloads and replenish fulfilment centres as needed. Amazon has over 100 fulfilment centres of 8 generations. They are at the heart of storing and distributing their goods. In the early days, they were built at locations chosen to avoid sales tax. Passing on the savings from sales tax onto the customer was one of their competitive advantages that was possibly instrumental in getting them through the dot-com bubble burst. 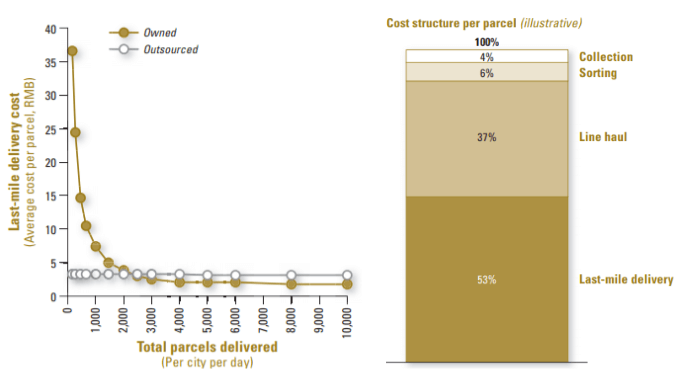 Newer fulfilment centres are located closer to population-dense areas to reduce outbound transportation costs. Amazon still tries to negotiate certain tax benefits with local governments for bringing jobs to their area. 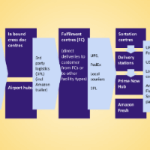 From 2013 onward, Amazon started to introduce so called sortation centres and delivery stations. Both serve the purpose of gaining greater control over delivery cost, delivery speed and customer experience. 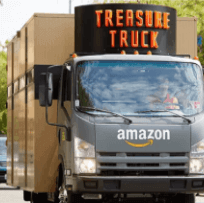 Amazon utilises trucking partners to move goods within its warehouse network (i.e. from fulfilment to sortation centres) and the US Postal Service (USPS) from its sortation centres to the customer’s doorstep which saves costs compared to UPS and FedEx. Delivery stations make the next step to the customer. They are often positioned in metropolitan areas (often in proximity to airports) and are smaller than sortation centres. Routing packages through Amazon’s sortation and distribution centres can shave a day or more off and reduce transportation costs, e.g. via their own drivers and local couriers. These facilities help to gain more control over the last-mile logistics. In 2014, Amazon launched Prime Now. 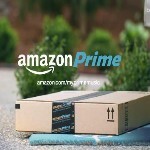 It allows Amazon Prime members to order selected items to be delivered within one hour for a delivery cost of $7.99 or for no additional fee (but must be Amazon Prime members) within 2 hours. Amazon Prime Now has its own set of storage buildings. 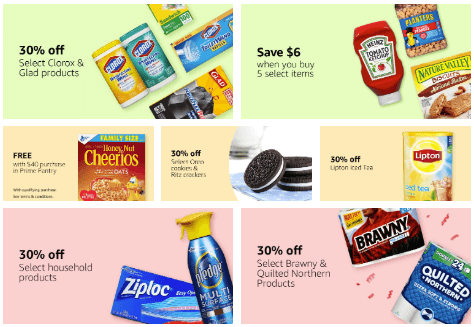 Amazon Pantry offers groceries and household goods. 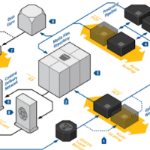 It requires special infrastructure in cold and ambient storage centres. Get the knowledge you need to develop innovation ideas you can be proud of (and actually work)! You might be wondering why there are so many different types of facilities? 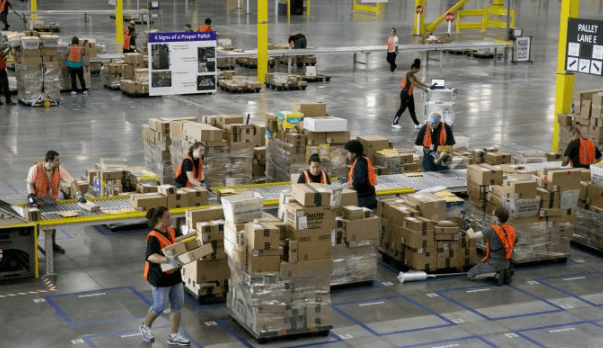 Why does Amazon have fulfilment centres, sortation centres, delivery stations (and more)? They sure add to the fixed cost base. The costs added by new facilities (and with that some inventory duplication) need to be justified by savings on transport costs. Time-tested supply chain fundamentals show the relationship between these costs with the number of facilities increasing. 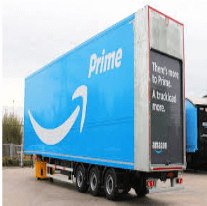 Amazon’s delivery network expansion (location of new fulfilment centres, sortation centres and delivery stations) is underpinned by the last-mile transport economics. The “last-mile” is not to be taken literally, it denotes the cost for the transport from the last facility to the customer’s doorstep. 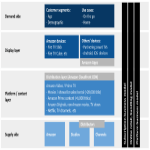 One study from AtKerney, shows that last-mile unit costs can be in the ballpark of 50% of the total delivery costs per package. Now, this number comes from a study focusing on China. For the US, a frequently cited figure for the last-mile cost are up to 28% of total transportation costs based on one estimate of the Council of Supply Chain Management Professionals. For our purposes, it is not so relevant if this figure is 50%, 25% or even only 15%. 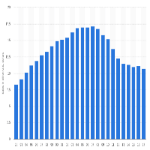 We can clearly see that it is not negligible. It makes clear that there will be a tipping point where it makes sense to start a delivery centre (Amazon does not necesserily own all their facilities but leases some as well). It is a trade-off between capex and lower variable costs. The proximity of the last dispatching station to the served area is a big cost driver. All other factors being equal, it costs $4 for one package when serving an area within 10 miles of the last dispatching station compared to $6.15 per package if 50 miles away and $8.53 if 75 miles away as one supply chain expert calculates. Another key variable is the time between individual deliveries which is where route optimisation comes into play. 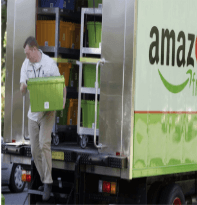 Amazon has started using Delivery Service Partners (more below) which – depending on the number of vans and employees – serve up to 40 (optimised) routes. These partners operate from the respective delivery centres (described above). While, once again, we don’t know the detailed numbers it is clear that this will make sense where theit critical density has been exceeded. A third common economical principle underlying a number of Amazon’s business model are contribution margins. Whenever you see Amazon extending their own infrastructure onto others this principle is the explanation. Higher utilisation of high fixed-cost assets by opening it to external parties helps to get to scale faster. Amazon has lower fixed-costs than their brick-and-mortar competitors Walmart or Target (because they don’t have all the stores). But they are still a high fixed-cost business with all their fulfilment infrastructure. Being able to increase the number of delivered packages thus improves their contribution margin ratios. I.e. more of an items revenue contributes to profits (or allows to reduce costs given Amazon prefers to pass savings onto customers). 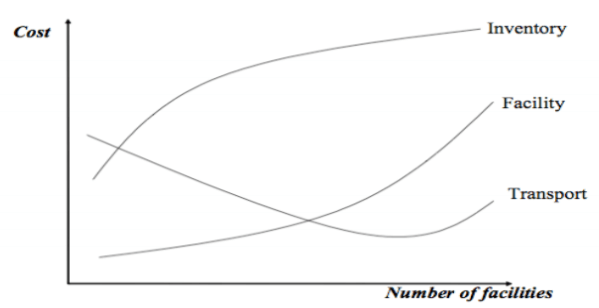 Scale helps to improve contribution margin ratios. But Amazon does the next step and opens up their infrastructure to others to increase volume further and thus make revenues to improve contribution margin ratios more. This is a common business model principle across many of Amazon’s high fixed cost assets. You will see a number of examples below (Fulfilment by Amazon, Shipping with Amazon, etc). Amazon Marketplace allows ordering 3rd party (i.e. non-Amazon inventory) products or services via Amazon’s pages. 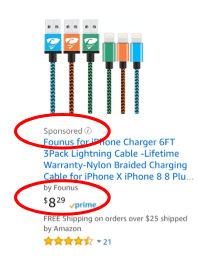 These products typically get listed together with Amazon’s inventory. Fulfilment by Merchant means that the seller will ensure the delivery of the items ordered. The example shows an item sold by a merchant, fulfilled under the Amazon Prime 2-day banner (can be FBA or even FBM). The vendor uses Amazon advertising (“Sponsored”) to rank high in the search results. Amazon also provides a Marketplace for services. 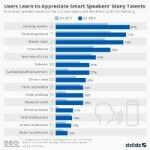 Amazon’s service sharing platform is similar to AirTasker but has a more focused set of categories. Amazon’s categories are limited to tradie and DIY type work. I have described service sharing platforms previously which is why I am keeping short here. Amazon Marketplaces are popular with small and medium-sized businesses (SMEs). It has enabled more than 140,000 SMEs to generate >$100,000 in sales. And as of 2017 more than 52% of Amazon sales are third-party sales. 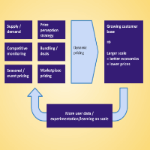 Amazon Marketplace falls under the platform business model that I have described at length in many articles (here is an overview). It brings together the customer on one side and the merchant on the other side. Merchants who are sell through Amazon Marketplace pay fees that fall under the platform business model. Those who use FBA pay additional fees. Fees under the platform business model are a percentage on the sales and are called a referral fee. 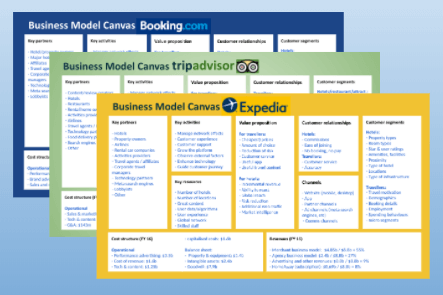 Charging a percentage of the transaction value is the most common revenue model for platform business models. 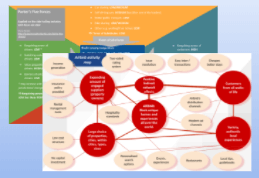 Underlying economic principles underpinning the business model are direct and indirect network effects. The indirect network effects come to play in the Amazon Marketplace where more merchants attract more buyers and more buyers attract more merchants. 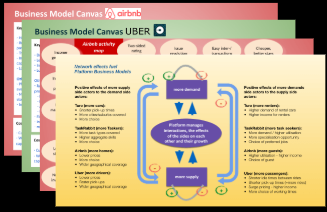 I have described indirect network effects here and here (within the complete guide to the platform business model). If the merchant chooses the fulfilment by Amazon (FBA) option, then it also falls under the Amazon service business model. This incurs separate fees. 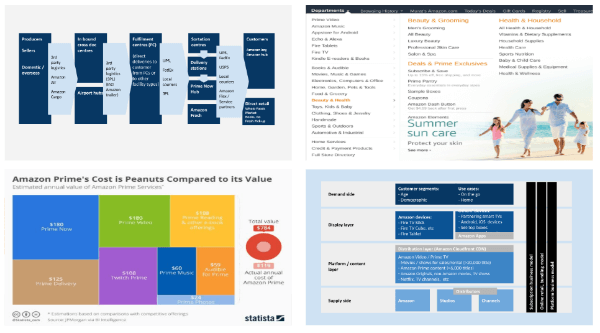 The pricing depends on a few factors with the size of the good(s) being the key driver of the costs. Here is a pricing table. 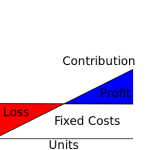 Extension of assets to the external customers (as done in the case of FBA) falls under the contribution margin principle described above. If merchants decide to advertise on Amazon, they pay to rank high (at the top or very close to the top) in the search results. 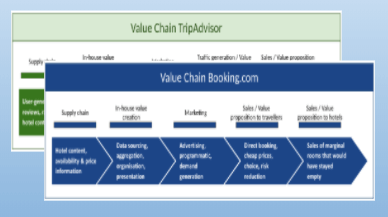 The revenue model is an auction-based cost per click model, CPC (I have described how CPC works here for TripAdvisor). You may have heard that in the recent quarterly report (Q2’18) advertising grew strongly. Now that Amazon is the dominant online retailer in the US and some other countries, they start expanding into other business areas. Brick-and-mortar stores are one of them. But it wouldn’t be Amazon if they didn’t combine this with new innovation ideas. 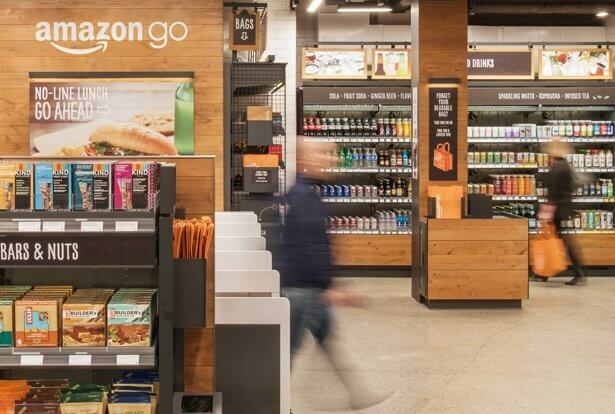 Amazon Go is a new shopping experience with no queues and no checkout interactions. 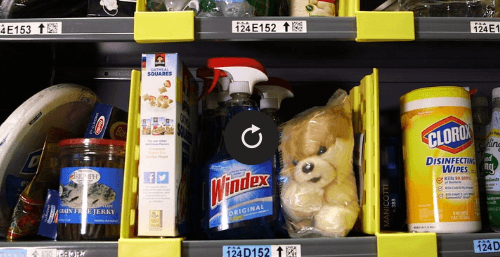 Using the Amazon Go app to check-in on entry, customers can just grab the items they need and walk out without using a check-out counter. The technology will charge the customer’s account and send a receipt to them automatically. 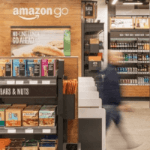 As of July 2018, there is one Amazon Go store in operation (and rumour has it that 6 others are planned for 2018). Amazon Books is a brick-and-mortar bookstore that had its debut in 2015. There are currently around 20 Books stores around with a few opening every couple of months. Amazon features their own electronics (Kindle, Fire, Echo, etc) as well as books and other media. I have described the Amazon Fresh infrastructure above. It has a delivery service (described below) and more recently a pick-up service. While not a physical store in the traditional sense, it now allows self-pickup in certain locations within 15 minutes of the customer ordering through the app. 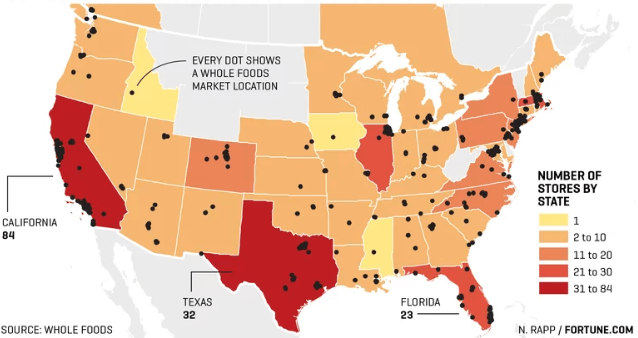 In 2017, Amazon acquired Whole Foods Market who have their own set of distribution centres and shops. Some have wondered why Amazon would go into the brick-and-mortar space when their strength is the online retail. But Amazon is simply a company that combines things in innovative ways. Being able to order Whole Foods Market products through Amazon Prime Now is one such innovation. Some people find transportation very interesting, others … not so much. But when you look at Amazon’s ambitions in transportation there will be no doubt: it simply is interesting. Amazon’s success has contributed vastly to an increased interest in finding new transportation solutions for goods and food. With this background, let’s look at Amazon’s transport and delivery innovations. The last-mile is from Amazon’s last warehouse to the customer’s doorstep. The middle-mile is in between Amazon’s delivery network buildings. 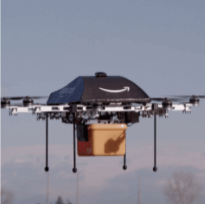 Drones are part of Amazon Prime Air and an exciting innovation idea for bridging the last-mile. You sure have heard about this many times. A similar last-mile idea are self-driving robots that several companies experiment with. 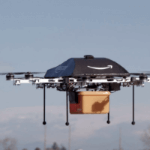 A recent Amazon patent covers driverless delivery vehicles, such as drones and trucks. Amazon key is a clever and secure way to let a delivery person into your home. This can avoid the typical problem of having to wait for a package. The system is has a camera and a smart lock. When the delivery person arrives they send a request via the app. The owner then can grant access. They can check via a camera who has sent the request / enters their home. This is a much more sophisticated solution than a static PIN which would pose all sorts of security risks. Another solution are secure pick-up and return lockers. 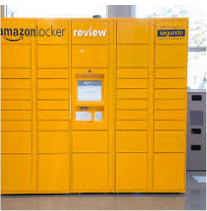 Amazon lockers are located with partnering convenience stores (7-eleven, Whole Food Markets). A similar solution is Amazon Hub which is located in apartment lobbies. This solution is made available also to other carriers. 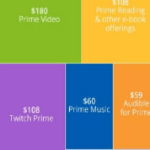 Amazon contracts eligible people via Amazon Flex. These contractors are couriers who pick up Amazon packages from either Amazon’s or other (e.g. UPS, FedEx) delivery stations and deliver them to the doorstep of the customer. 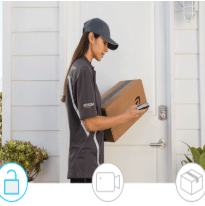 Amazon Flex couriers deliver to Amazon Prime Now customers and also conduct standard Amazon package deliveries. The process of getting work assigned can be difficult. Becoming an Amazon Delivery service partner is a serious commitment but also an entrepreneurial opportunity (more details below). As mentioned above, Amazon Fresh has its own storage infrastructure. It is exclusive for Prime members but charges an additional $15 per months. It delivers free to your doorstep for orders above $50 (or a delivery charge of $9.99 for orders below $50). Customers can have their order left at the doorstep in temperature controlled totes or choose an attended delivery (or pick it up themselves at certain locations which I have described above). The treasure truck sells one discounted item per day. Customers purchase the item upfront and can pick it up in the neighbourhood. The truck tours different areas on different days. Notifications come via SMS or Twitter to subscribers. This one is an experiment at this stage rather than a systematic attempt for a store-on-wheels. But who knows where it can lead to. Amazon started purchasing their own fleet of truck trailers to be used between their different types of warehouses, e.g. from a fulfilment centre to a sortation centre but not for the last-mile. 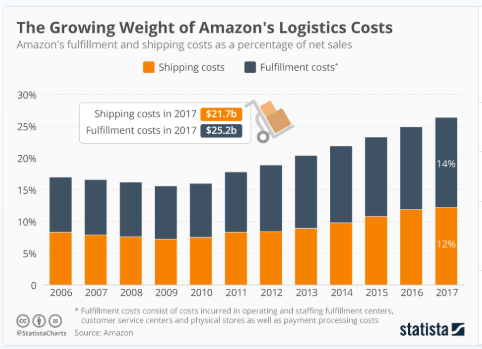 This gives Amazon more control over the transport, reduces their dependency on national carriers (UPS, FedEx), costs and increases speed by widening potential bottlenecks, especially in peak season. Amazon’s ambitions are big. You can see this from their announcement to lease 40 Prime Air Planes. It is “creating an air transportation network [and] is expanding our capacity to ensure great delivery speeds for our Prime members for years to come.” This move has been followed by starting an air hub in Kentucky close to 11 of their fulfilment centres. 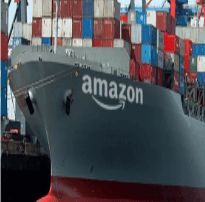 In the next move to an end-to-end logistics network, Amazon reserved space on ocean vessels and obtained a licence as an ocean transportation intermediary which enabled them to ship goods under a Non-Vessel Operating Common Carrier (NVOCC) or Beneficial Cargo Owner status. But unlike their ambitions in the air, on the oceans, Amazon does actually not own the vessels. The licence, however, allows Amazon’s China subsidiary (called Beijing Century JOYO Courier Service Co) to sell respective transportation services to others and act as acting as a global freight operator and logistics organiser. 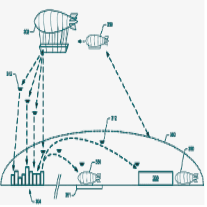 Amazon has patented an idea for an airborne fulfilment centre (AFC). The AFC would remain at high altitude and deliveries to the customer would be made via unmanned aerial vehicles (“UAV”), e.g. drones, or delivered to the neighbourhood via small airships and then use their last-mile delivery options. Replenishment would be conducted by shuttles (smaller airships) that also carry workers where required. This idea would certainly disrupt the entire static storage and transportation network that currently exists. Amazon has brought a lot of innovative ideas into the transport and delivery space already. This is an interesting and – now – fast-evolving space. One document leaked in 2016 talks about a larger ambition called “Amazon Global Supply Chain” (here another analysis on this). Learn from the most successful, innovative companies around with InnovationTactics.com! Let’s have a brief look at these. 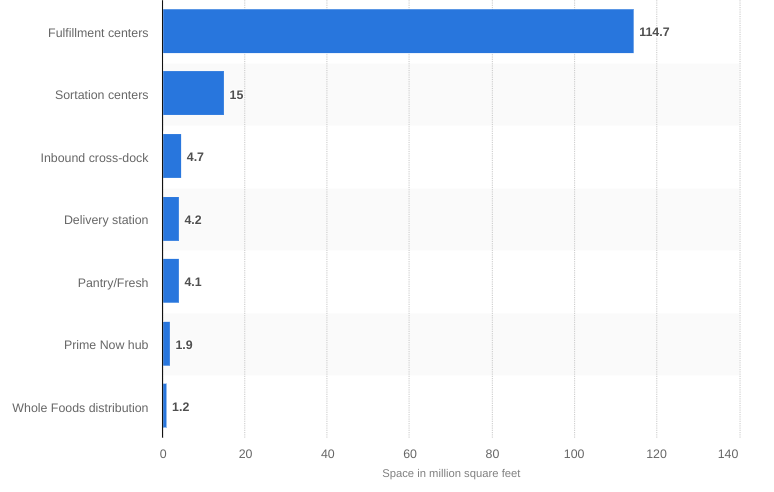 Reaching scale, Amazon first started building a warehouse infrastructure closer to higher-density areas from about 2013 onward. You have seen the economic justification for this above. In the last 2-3 years, Amazon started entering the transport space in earnest. These two elements work in a complementary fashion and allow expansion into other areas such as speedy delivery of groceries and medication. Amazon Flex is a contracting business model of independent freelancers that do the last-mile delivery for Amazon. While it is not an in-sourcing due to the fact that the Flex drivers are not Amazon employees (and their cars are not Amazon’s assets), it still takes some previously outsourced work away from the national carriers (UPS, FedEx) as well as USPS and local courier companies. Due to the lower cost structures (see similarities to Uber) and other arbitrage opportunities (regulatory, tax, etc), we can assume that this is a cheaper option than some of their other commercial arrangements. 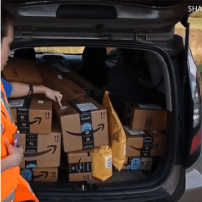 Amazon Delivery Service Partner takes the idea of Amazon Flex to the next level. As part of this program, Amazon’s stated goal is to “take an active role in helping interested entrepreneurs start, set up and manage their own delivery business”. This is not a part-time gig any more. The latter two figures are for a fleet size of 20-40 vans whereas the start-up figure is obviously for a minimal fleet size. This brochure (pdf) has a lot of interesting details on how delivery service partnering works. The idea behind SWA is similar to Amazon Marketplace where they open their infrastructure (webpages and fulfilment network) to other merchants. SWA opens their transport network to merchants. Media has been framing this as a disruption of UPS and FedEx. But this is a bit of a stretch at least in the short term. The motive in the short and medium run is once again that of reducing unit cost (through improved contribution margin ratios) on their transport assets that I have described above. Other considerations are that of having more control over the speed of delivery and a better negotiation position with the other carriers. 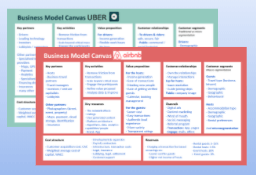 If you combine the above initiatives and business model you will inevitably land on a platform business model for the transport component. It brings together several sides: small/medium size courier business, merchants and customers. This presumes that shipping with Amazon (SWA) utilises Amazon Flex and/or Amazon Delivery Service Partners. Merchants that offer their product on Amazon Marketplace have the options to do their own fulfilment or have fulfilment by Amazon which also then includes shipping with Amazon. You see inevitably parallels in business models applied between Amazon’s storage/fulfilment network and their delivery network. Help good content to make its way!